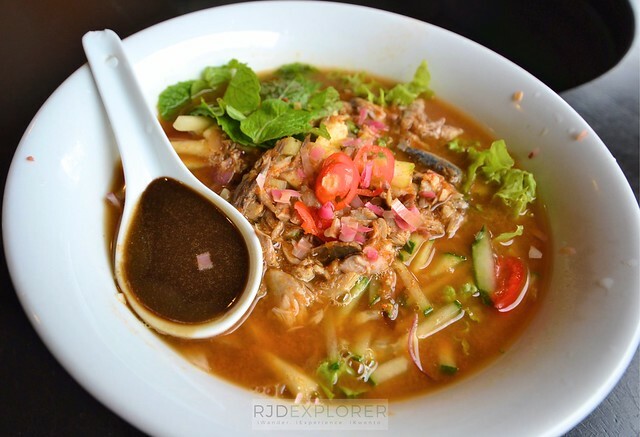 Travelers visit Penang Island because of its food. Most Malaysians I’ve met on the road mentioned that Penang is the food capital of Malaysia. But the wall and street arts of the historic town of Georgetown add a worthy time to your stay on the island. Penang Island is part of the Malaysian state Penang on the northwest part of the country. 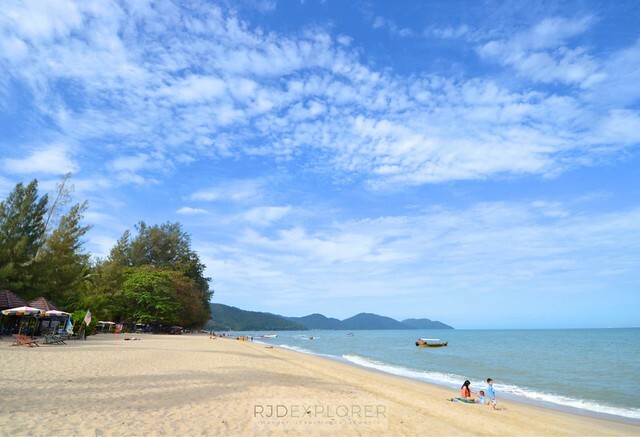 From historic landmarks to nature parks, beaches, and food parks, Penang Island has a lot to offer to tourists. 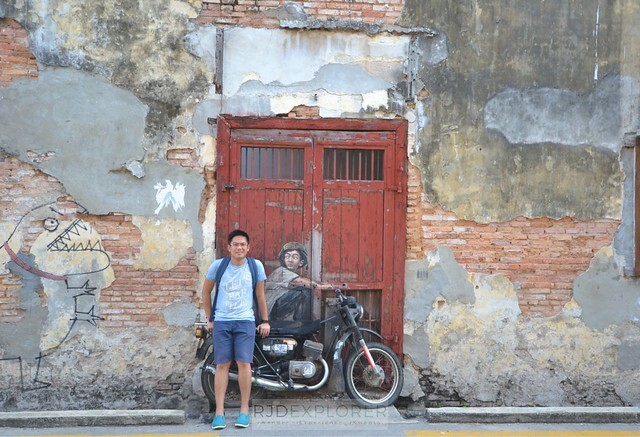 Here’s a 3-day Penang Island itinerary and travel guide you might want to check. 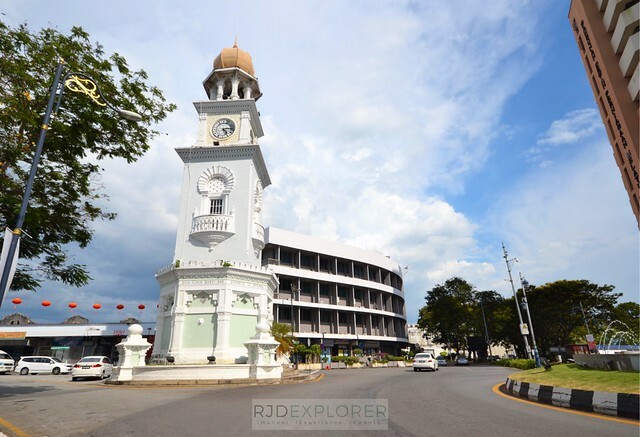 The historic city of Georgetown in Penang Island. DISCLAIMER: Some of the links in this post are affiliate links. If you think it will be more convenient for you to purchase these activities/passes before your visit to Penang Island, kindly book them below. The commission I’ll get for every successful booking comes at no extra cost to you. Malaysia is generally hot and humid all year round with random rain showers. During the month of April to October, brief and odd downpour occurs but not an issue when it comes to exploring your destination. Bus. The cheapest yet least convenient way is to take a 6-hour bus trip from Terminal Bersepadu Selatan (TBS) in Kuala Lumpur. You need to make your way from Kuala Lumpur International Airport to TBS and get tickets to Penang Island that range from RM38 to RM42. Most buses drop passengers at Sungai Nibong Bus Terminal in Penang. Train. A better option is to avail the KTM train from KL Sentral to Butterworth. Tickets are available in two types: ETS Platinum (RM79) and ETS Gold (RM59) with the first having fewer stops but both have the travel time of around 4 hours. From Butterworth station, take a ferry to Penang Island that costs RM1.2. Ferry operation starts from 5:20 AM to 12:10 AM. Air. The most convenient one is via air travel with several airlines flying the Kuala Lumpur to Penang Island route. AirAsia offers cheap flights for the 1-hr flight. Got mine for RM18 for a one-way flight during one of the airline’s promotions. I arrived around 12 midnight in Penang Island and was lucky to catch the last bus from Penang Airport to Georgetown proper. Prepare for a big day of exploring the historic town the following day. Spend your first day walking along the streets of Georgetown hopping from one landmark to street arts. 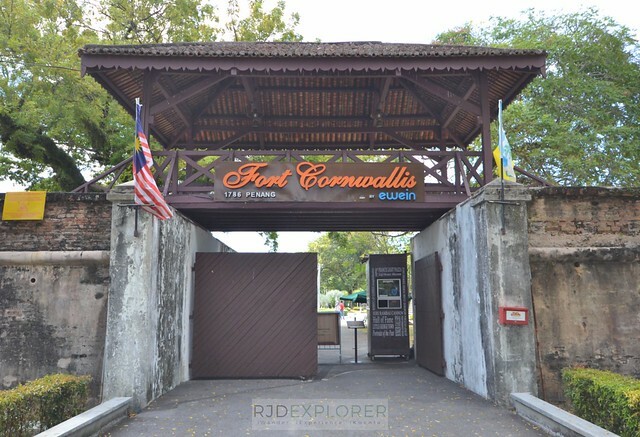 Make Fort Cornwallis your starting point and discover the nearby landmarks like the Queen Victoria Memorial Clock Tower, Penang Town Hall, St. George’s Anglican Church, Pinang Penarakan Mansion, Khoo Kongsi, and Kapitan Keling Mosque. Queen Victoria Memorial Clock Tower. For the art trail, make your way to Armenian Street. 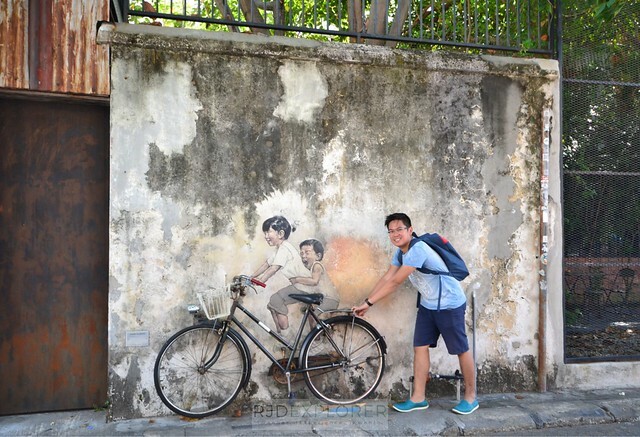 Few of the famous arts in Georgetown are Kids on a Bicycle, Boy on a Motorbike, and Little Boy with Pet Dinosaur. Apart from the colorful murals are rod arts and cartoons scattered around the city. Since the destination is an island, beaches are expected and Batu Ferringhi shouldn’t be overlooked. You can take the buses from Komtar Bus Station to visit Batu Ferringhi. Several beach resorts and luxury hotels like Shangri-La Rasa Sayang Resort dot the stretch of Batu Ferringhi. On your way back to Georgetown, drop by Lorong Burma to visit two temples. 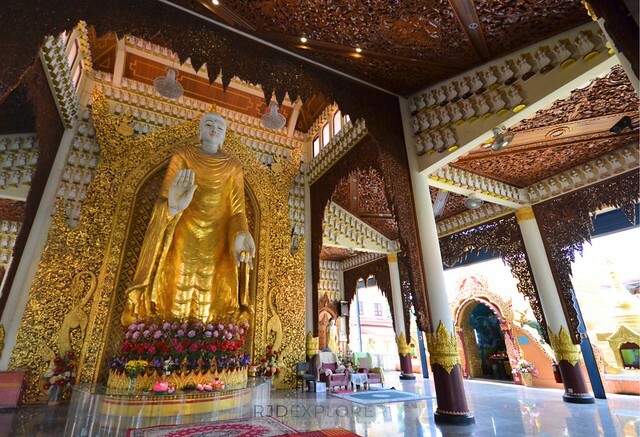 Wat Chayamangkalaram is famous for its Reclining Buddha while across the road is Chu Phat Dhammikarama, a Burmese temple known for its standing Buddha images. 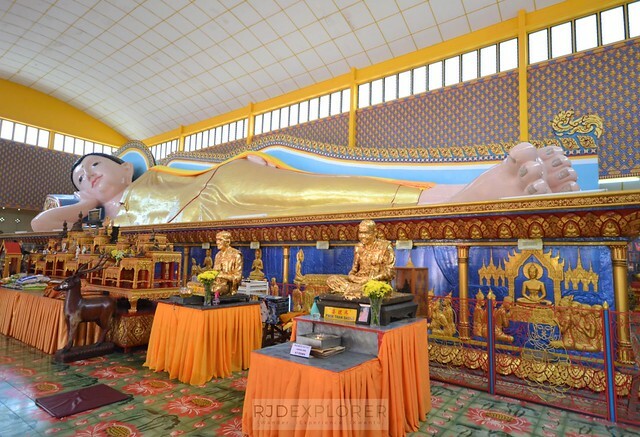 Reclining Buddha of Wat Chayamangkalaram. Standing Buddha in Chu Phat Dhammikarama. With Malaysia known as a Muslim country, it’s surprising to see Buddhist temples in Penang Island. 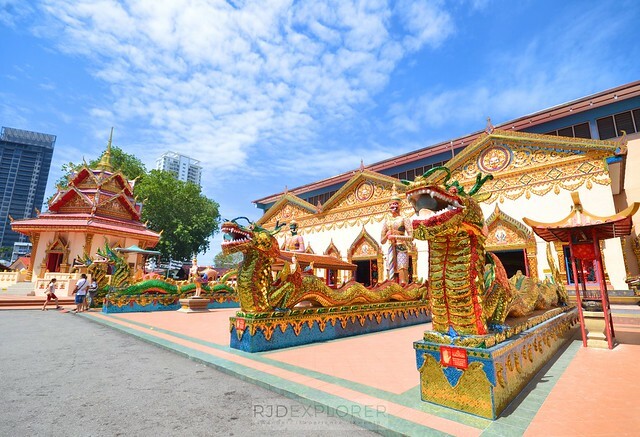 These temples are of Thai or Burmese origin though some are Chinese inspired. 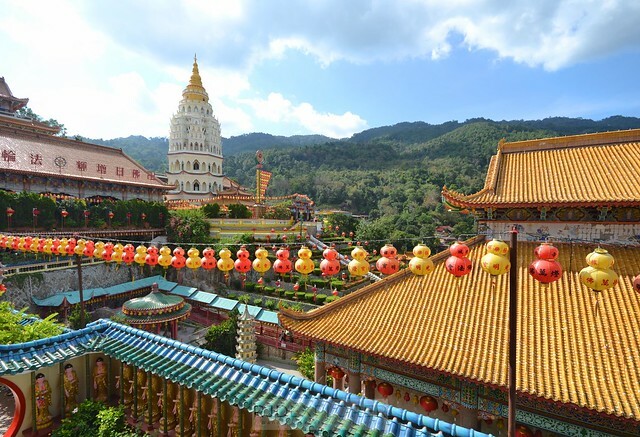 Kek Lok Si Temple, the biggest Buddhist temple in Malaysia, is located in Air Itam, southwest of Georgetown. One needs to ascend some stairways and avail a cable car to reach the deck where Statue of Guanyin soaring at 99 feet resides. Colorful compound of Kek Lok Si Temple. 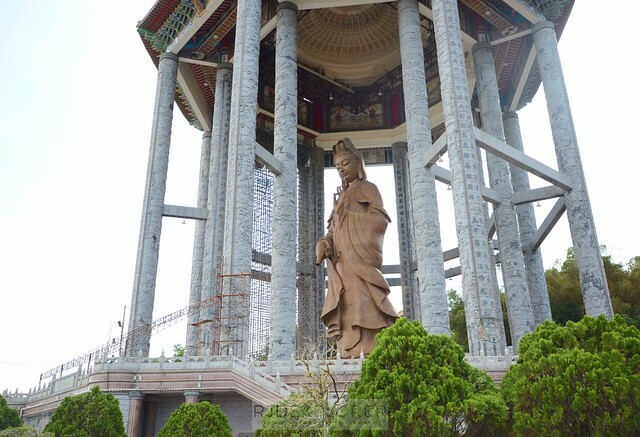 Massive Statue of Guanyin in Kek Lok Si Temple. Added Penang Island attractions and activities to consider include Penang Hill, beaches in Batu Ferringhi, Penang National Park, Tropical Spice Garden, The TOP Komtar, and Penang Gold Museum. 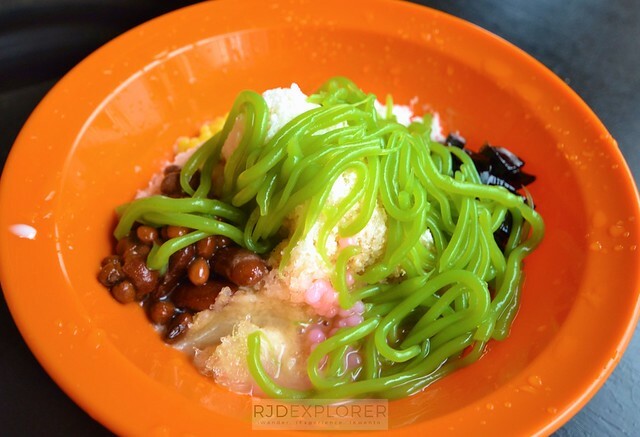 For kids are playful attractions like Penang Interactive Museum, Dark Mansion Museum, Entopia Butterfly Park, Teddyville Museum, Glass Museum, Wonderfood Museum, and ESCAPE Adventureplay Theme Park. There are few options in Penang Island from budget to luxury hotels and even backpacker hostels. Most budget accommodations are in Georgetown but if you have the luxury of staying at beach hotels, you could consider booking a place in Batu Ferringhi. 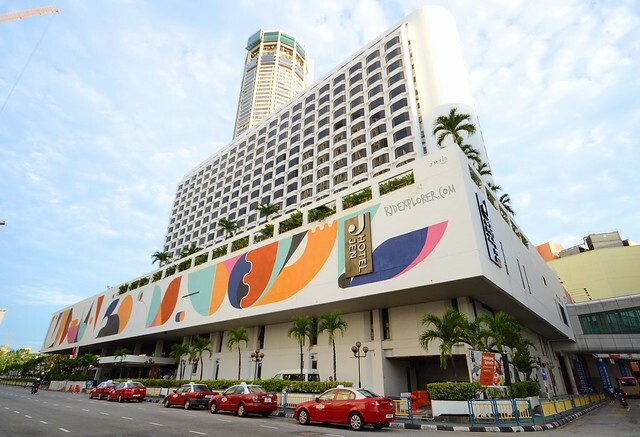 Midrange hotel options in Penang Island. 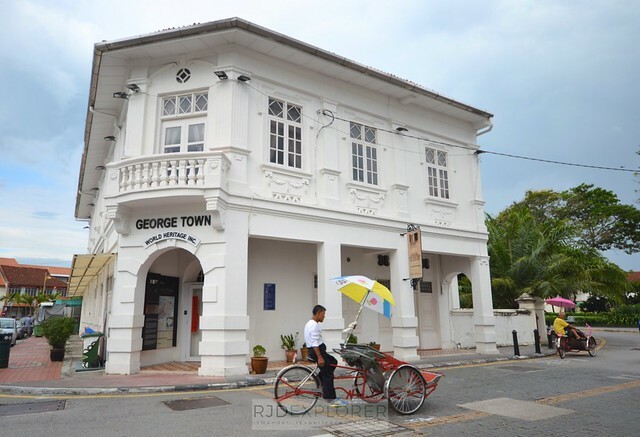 Hotel Jen Penang, one of the finest accommodations in the historic city of Georgetown. 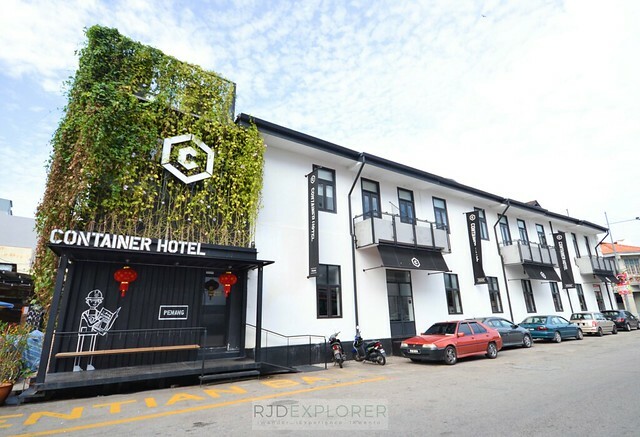 Recommended accommodations are Hotel Jen Penang, Container Hotel Penang, The 80’s Guesthouse, The Frame Guesthouse, Heritage Sixteen, and Reggae Penang Love Lane Hostel. For more options, use the search box below. Most Malaysians I’ve met mention that Penang Island is the food capital of Malaysia. 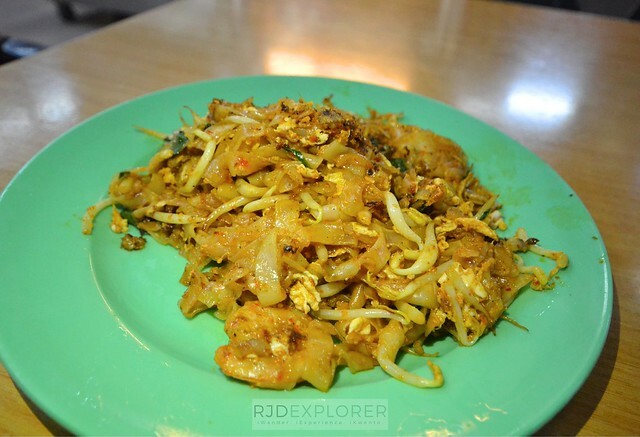 You can find the nicest Malaysian meals here and laksa and char koay teow are exceptional. If your schedule lands on a weekend, you have more options because of weekend markets and food bazaars. Penang Assam Laksa for RM7. Bus don’t give change so better to prepare exact amount of bus fares. Taking the taxi is a bit expensive when you’re traveling solo. Better check the bus schedules for your convenience. Don’t miss the street food scene. There are a lot of Wi-Fi hotspots in the city available for free. 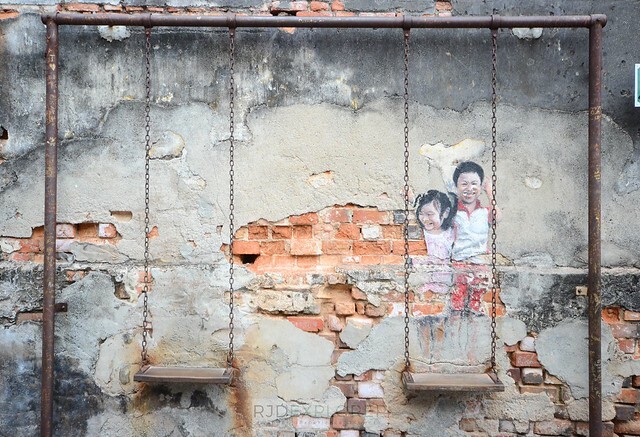 Street arts make Penang a famous Malaysian destination. Here’s a Penang Art map you can use on your visit. But please be reminded that they regularly add street arts not reflected on the provided map. Walk and discover your own way! 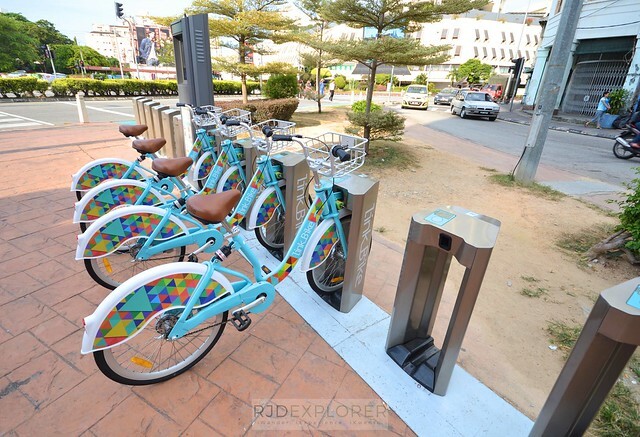 You can also bike around Penang Island with these bikes for rents. Just look for a station and read the renting rules. Next articleWhy Do I Keep on Traveling Alone? Hi! How long was the bus ride from Penang Airport to Komtar? Did you take the 401E or another bus? Thanks! If I remembered it right, I took the last trip of 401E from Penang Airport to Komtar.